Our world is suffering global crises of poverty and inequality, overdevelopment, environmental degradation, climate change, healthcare, and aging demographics. Given these sustainability crises, does computer science have anything to offer? Computation can be inherently sustainable: replacing atoms by bits. Initiatives in green computing are significant. However, computational sustainability is also emerging as a field. It develops computational models and methods for decision making concerning the management and allocation of resources to help solve problems of sustainability. It is also focused on the design of computational systems that support sustainability directly. Sustainable and resilient systems must satisfy physical, chemical, biological, psychological, economic, and social constraints. Consider constraints such as those imposed by energy supply, water resources, waste management, greenhouse gas emissions, ocean acidity, climate, ecological footprint, biodiversity and global equality. A sustainable system is one that operates within an envelope defined by the constraints it should satisfy. Sustainability is constraint satisfaction. This talk will sketch the theory of constraint-based computational sustainability, outline the dimensions of the design space for computational sustainability systems, describe the design of several systems, consider how machine learning and artificial intelligence can enhance or degrade sustainability, and speculate on the scope of future developments. 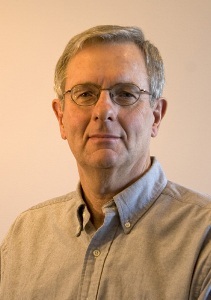 Alan Mackworth is a Professor of Computer Science at the University of British Columbia. He was educated at Toronto (B.A.Sc. ), Harvard (A.M.) and Sussex (D.Phil.). He works on constraint-based artificial intelligence with applications in vision, robotics, situated agents, assistive technology and sustainability. He is known as a pioneer in the areas of constraint satisfaction, robot soccer, hybrid systems and constraint-based agents. He has authored over 130 papers and co-authored two books: Computational Intelligence: A Logical Approach (1998) and Artificial Intelligence: Foundations of Computational Agents (2010; 2nd Ed. 2017). He served as the founding Director of the UBC Laboratory for Computational Intelligence. He is a Fellow of AAAI, CAIAC, CIFAR and the Royal Society of Canada.